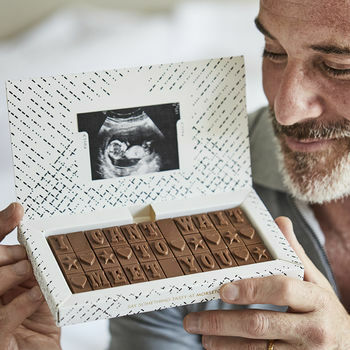 Create the perfect sonogram gift with the photo of your bump and celebrate the best of all news for Father's Day? What better way to celebrate the excitement of your pregnancy than by sharing the news with your friends and family in chocolate form. Imagine their delight when they see your news drop through the letterbox. 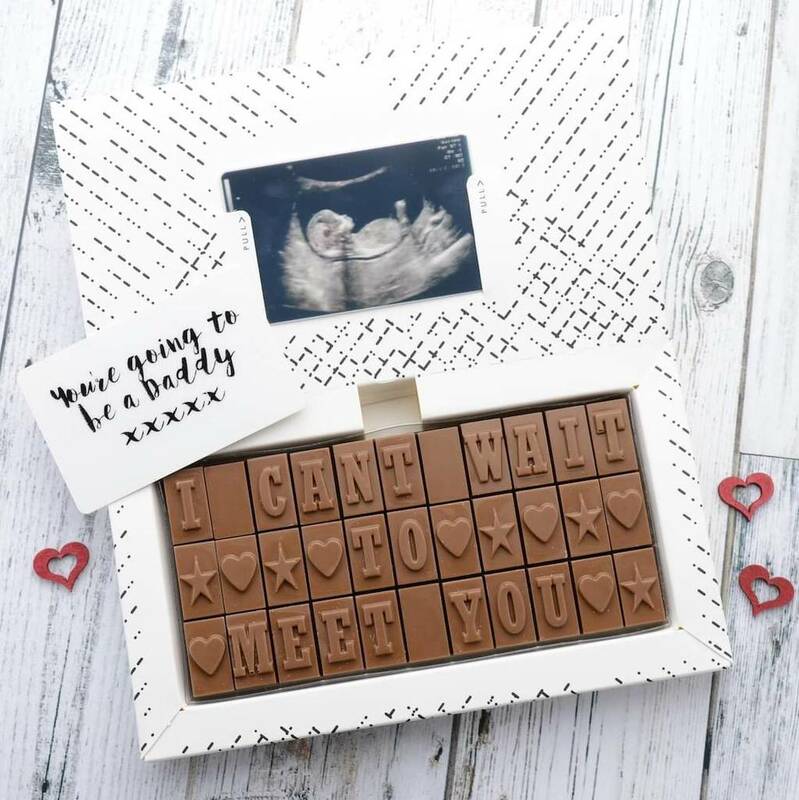 You can customise the box with your own sonogram photo, then add a message to the back. Our boxes are letterbox friendly. Each letter is a bitesize piece of chocolate, perfect for sharing. H1.8cm x W17-25cm x D3.3-8.4cm, approx. 110g - 205g (smallest to largest).